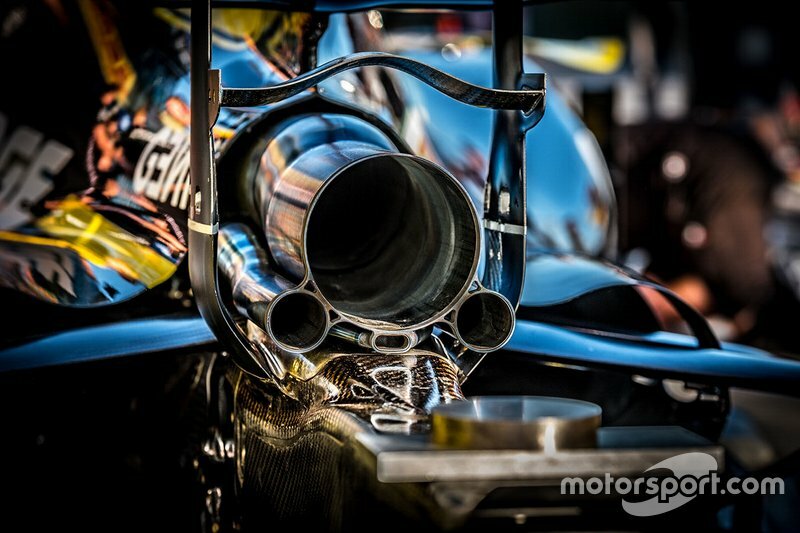 A close up of the Renault RS19 from behind, note how the wastegate exhausts have been mated to the side of the main exhaust outlet. 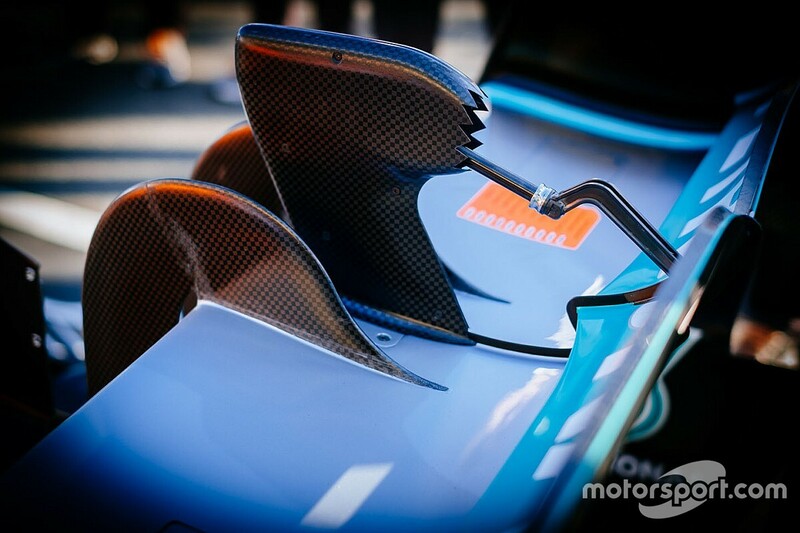 The team also looks set to utilize the small monkey-seat winglet above the exhaust in order to tune its direction. 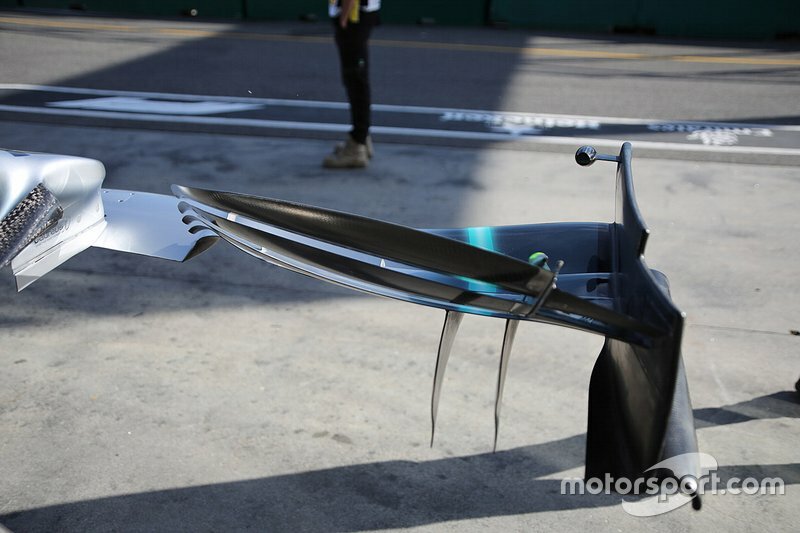 A close up of the Mercedes W10’s new rear wing DRS actuator pod, which now features serrations on the trailing edge. These have been added in order to impart an aerodynamic flow structure that aids the rear wing. 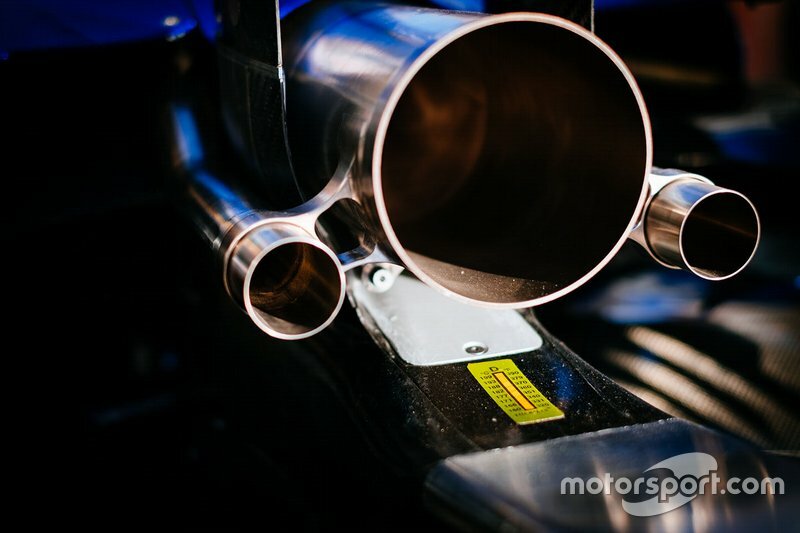 An extreme close up of the Mercedes W10’s exhaust layout, note how the wastegate pipes have been positioned away from the main exhaust. Also worth noting is the thermal sticker atop the crash structure, used by the team to monitor localized temperature imparted on the bodywork. 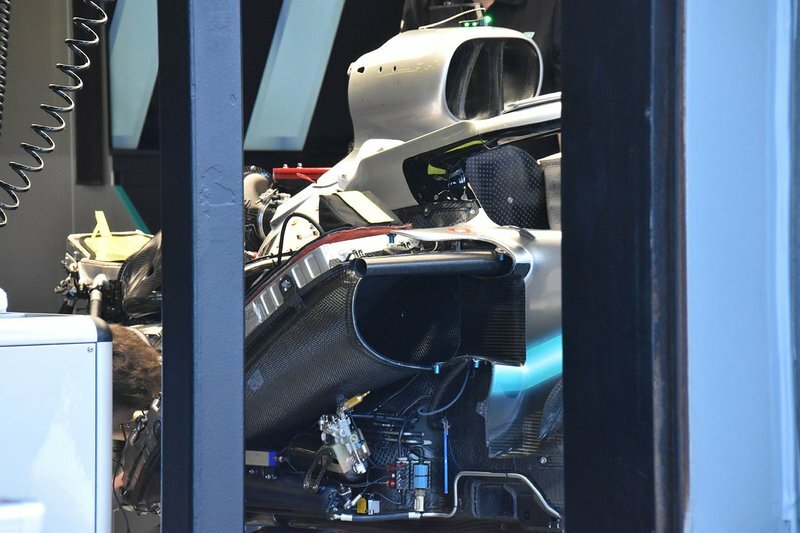 A look at the Mercedes W10’s front wing behind shows how the designers are still making a concerted effort to push flow outboard even though many of the tools previously available have been taken away from them. 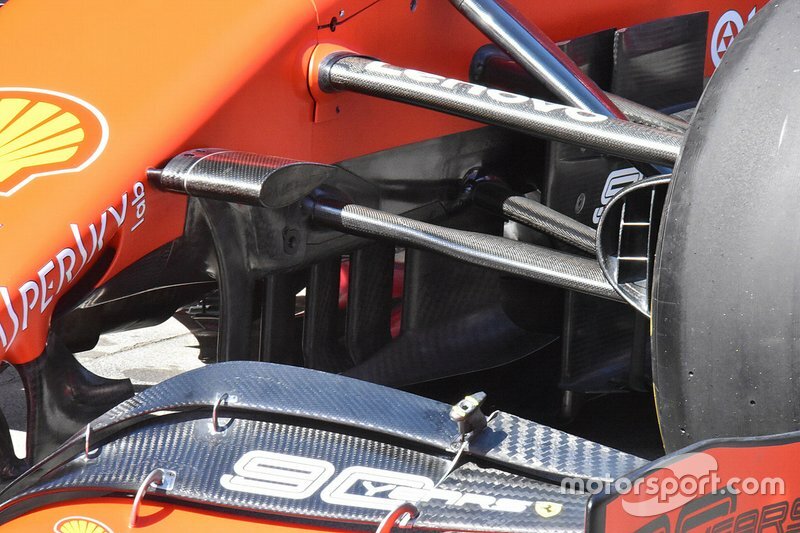 The view under the Ferrari SF90’s chassis, which gives us a look at the five-element turning vanes. A look at the rear of the Ferrari SF90, note the number of slots on the floor's edge which are being used to work the airflow hard and help create a kind of airflow 'skirt' to seal its edge, enveloping the flow traveling beneath toward the diffuser. 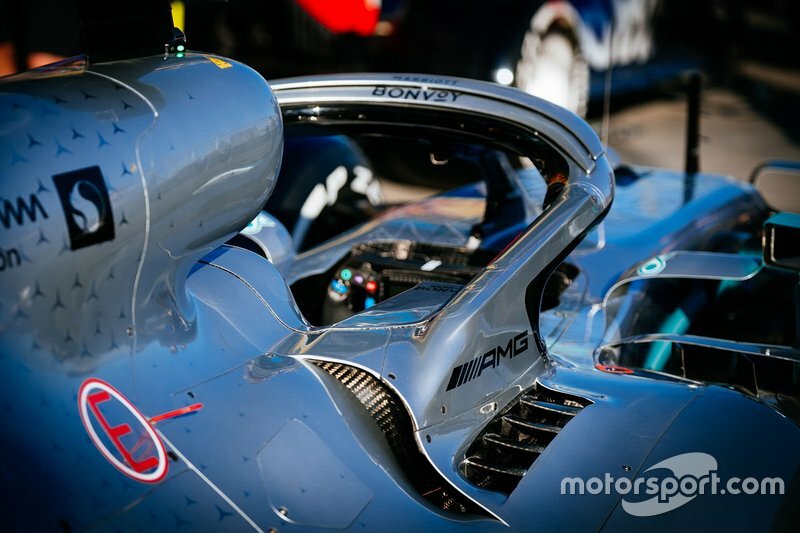 A great shot of the Mercedes W10 from behind shows off the two winglets atop the halo and also the sidepod cooling outlet that forms the rearward transition of the halo back into the car's bodywork. 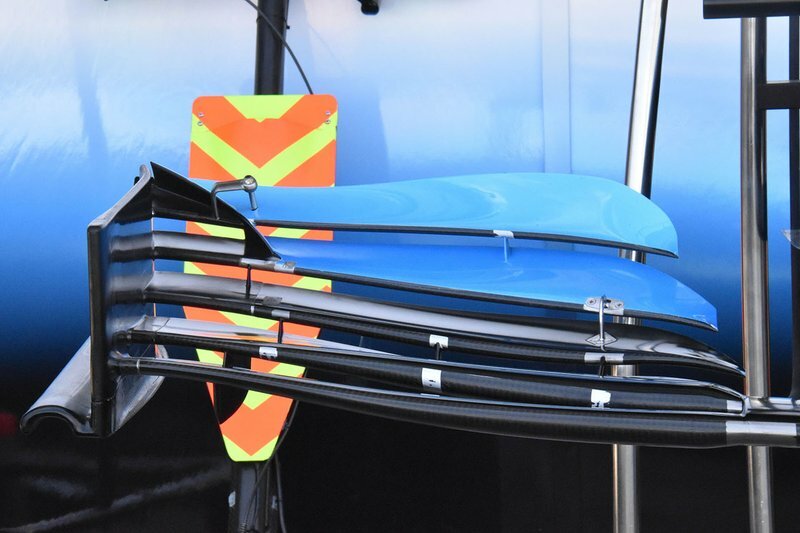 A look at Williams’ front wing, which features several elements designed to encourage airflow to move across and around the front tyre, but none more prominent than the wedge-shaped flow conditioner on the upper outer corner. 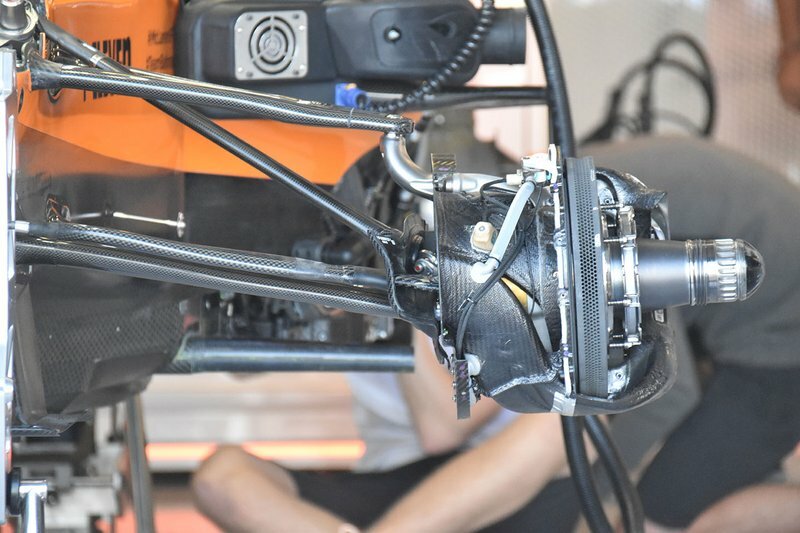 This image of McLaren’s front brake assembly during the build up phase shows how pipework used internally carries airflow to cool different components, such as the caliper. 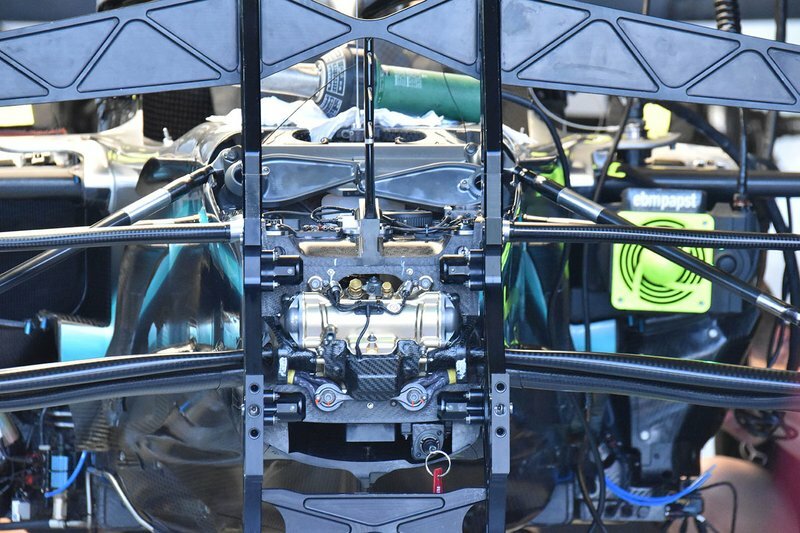 A look at the Mercedes W10’s front suspension layout, which is not dissimilar to last year’s car. 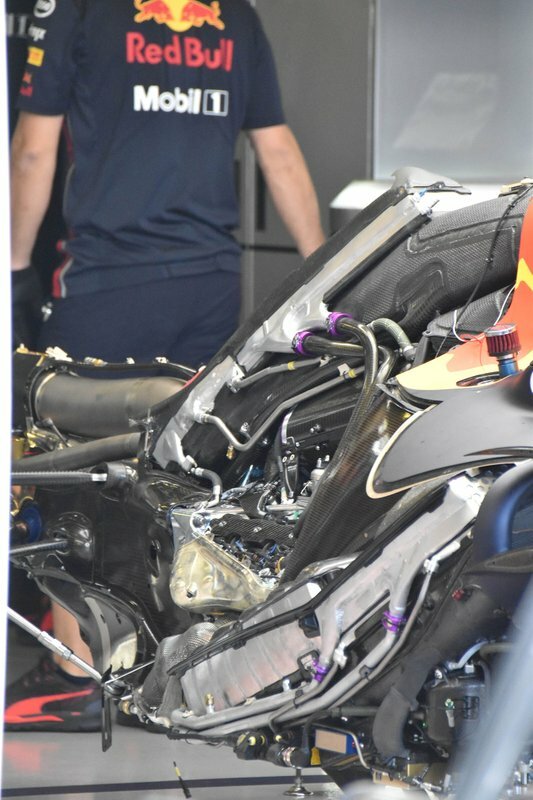 A fantastic shot of the Red Bull RB15 sans bodywork, which allows us to see the placement of the various power unit coolers and the routing of their pipework. 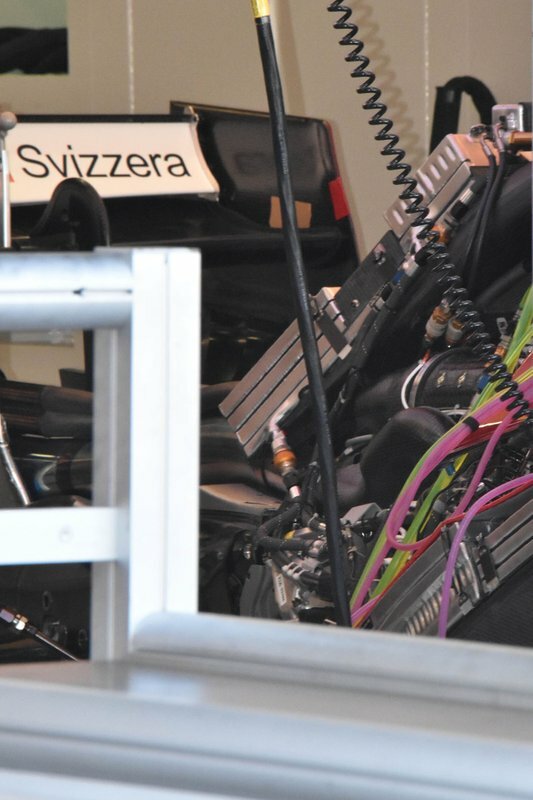 This internal view of the Alfa Romeo C38 shows how the various oil coolers associated with the power unit are stacked above it. 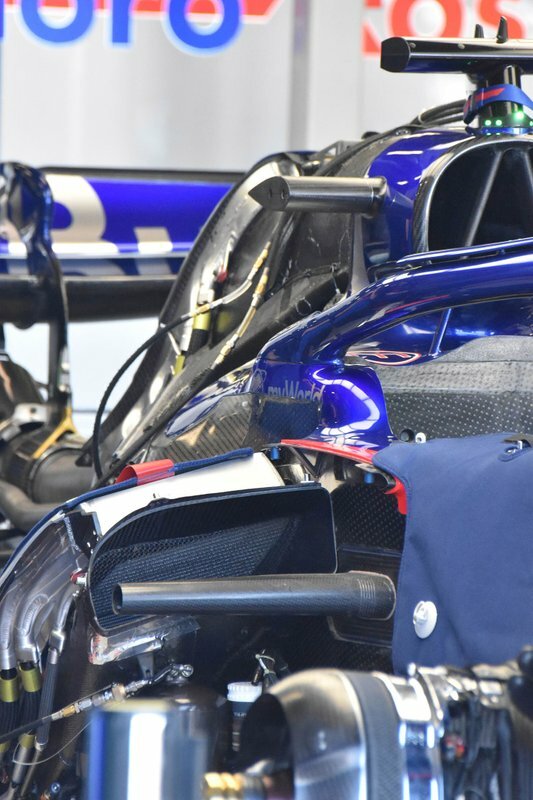 This close up of the Toro Rosso STR14 without its bodywork shows how the team has mounted some of the components associated with cooling the power unit in a saddle position above it. 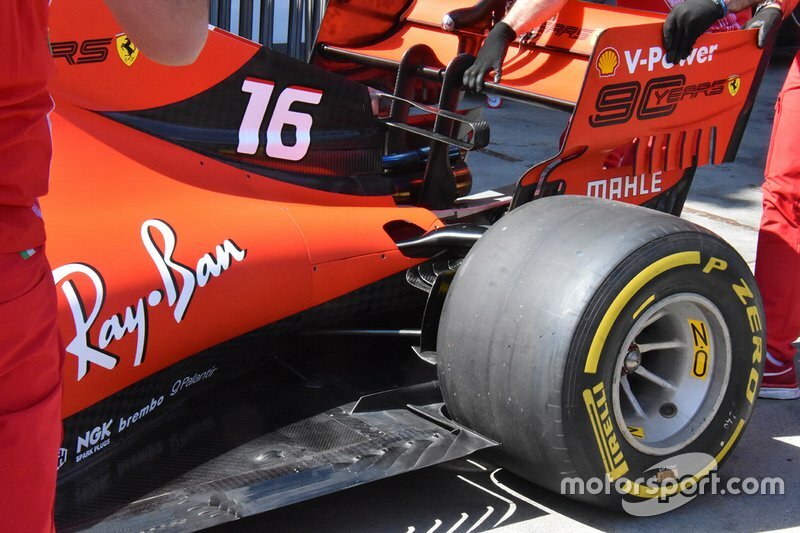 Also note the placement of the side impact support spar, which like the Ferrari solution from 2017-18 is now much lower, allowing more freedom when it comes to the shape of the sidepod bodywork. 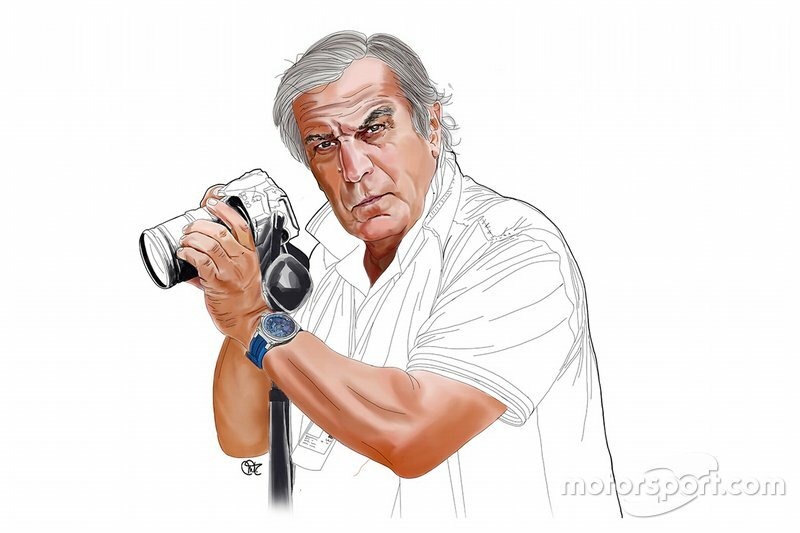 As a comparison here’s the more conventional mounting position, of which Mercedes is now the only team to still be using.